A recent report by economists determined that states with medical marijuana laws in place have seen a drop in deadly vehicle crashes, The Hartford Courant is reporting. It is certainly good news for the Los Angeles medical marijuana industry, and researchers are looking at the benefits of medical marijuana aside from the medical advantages. Our Los Angeles medical marijuana lawyers recognize the benefits of medical marijuana not only for local tax revenue and small business growth, but also the intended purpose of helping people with major medical ailments get the pain relief they deserve. The research also revealed that people who might regularly drink and drive are smoking marijuana instead, though the study doesn’t show whether would-be drunken drivers are driving while high with less-deadly results or they’re simply not driving as much. Research was done by professors in Colorado, Montana and Oregon. They looked at traffic deaths in all states, including the 16 that have legalized marijuana. The data, from 1990 to 2009, shows that in states where marijuana has been legalized, there has been a 9 percent decrease in traffic fatalities. The numbers show that DUI incidents have been dropping in this country for decades, but the state-by-state data seems to suggest that states with legal marijuana use are seeing bigger drops. Connecticut is one state that is considering the use of marijuana for medical purposes in its current legislative session. It would make sense that people who are suffering from major medical ailments would use alcohol as a way to cope with their problems. Often, that leads to drinking and driving. But marijuana use is more likely done at home and not in public, for fear of being arrested. So, if the person is already home, they are less likely to get behind the wheel while they are high on the drug. The study asserts that states with medical marijuana laws in place allowed some people to have marijuana for recreational purposes either through illegal means because of law-breaking distributors or for those posing as would-be patients. Either way, researchers believe recreational drug users are drinking less alcohol. Based on national surveys about drinking habits, states where marijuana is legalized showed a 9- to 12-percent drop in mean number of drinks consumed by month for men and women. Beer sales, on average, dropped by about 5 percent in states where medical marijuana is legalized as well. Researchers found there was no change in sales of spirits or wine, which correlates with young people using more marijuana as a substitute for beer, the most popular alcoholic drink for young people. Opponents will look at this study and use it to prove that in states where medical marijuana laws exist young people are getting more access to illegal marijuana. But supporters will use it to show that traffic fatalities being reduced is a major benefit of implementing medical marijuana laws. To argue that young people are getting access to marijuana for illegal use only in states where it is legal for medical purposes would be ignorant. But to argue that use of alcohol by young people is more dangerous than marijuana would be a sound point. 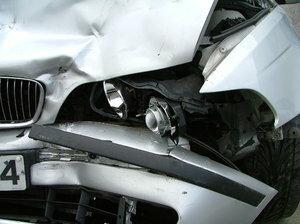 Far more people die in DUI-alcohol accidents each year than in DUI-marijuana accidents.